Here at Adaptive Services we offer a large selection of items to help with bathing, washing, showering and toileting for people who are elderly and for those with reduced mobility. Whether you’re looking for a seat to lower you into the bath, a seat for the shower or simply a long handled sponge to assist with washing then we can help. 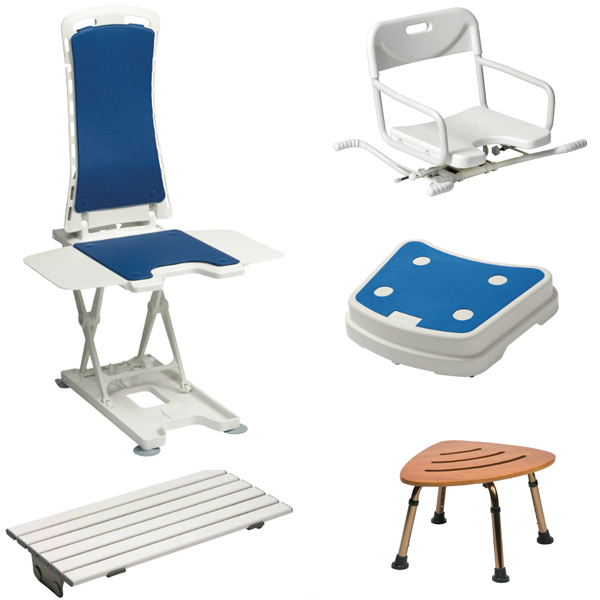 Also available is a large range of raised toilet seats and frames to assist with toileting, steps to access the bath and plastic fluted grab rails in various lengths with either suction or a more permanent fixing. Whatever your requirements pop into our showroom or simply give us a call and one of our friendly team of advisors will be happy to assist you.